The number of designs in tattoos today is infinite. From formal prints to animals like fishes, birds, tigers and leopards and even alligator and crocodile are being inked in the form of tattoos. Alligator is a creature that is very dangerous and feared by all. 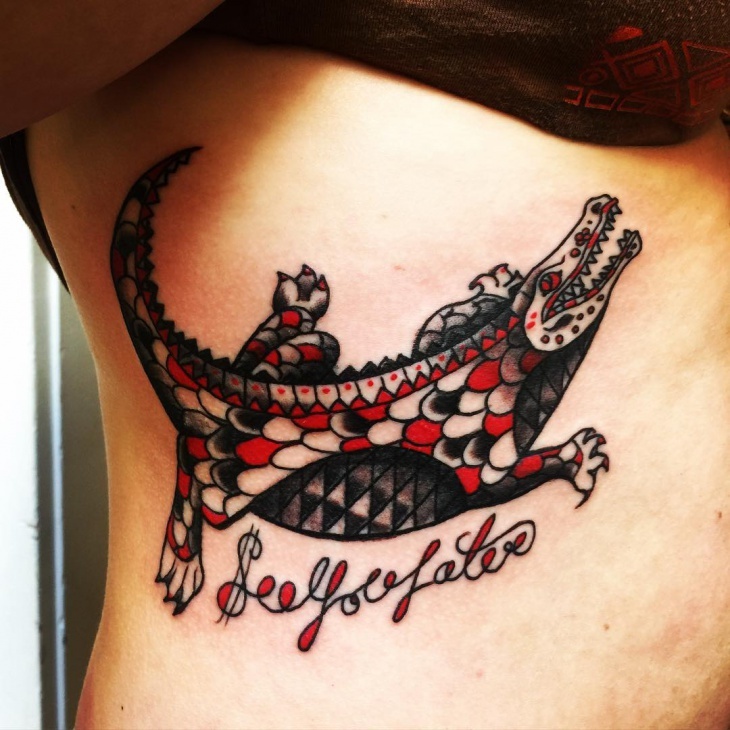 Donning alligator tattoo would mean representing focus, status, balance and even fearless attitude and brevity. Also, it symbolizes masculinity, power and subconscious nature of people. 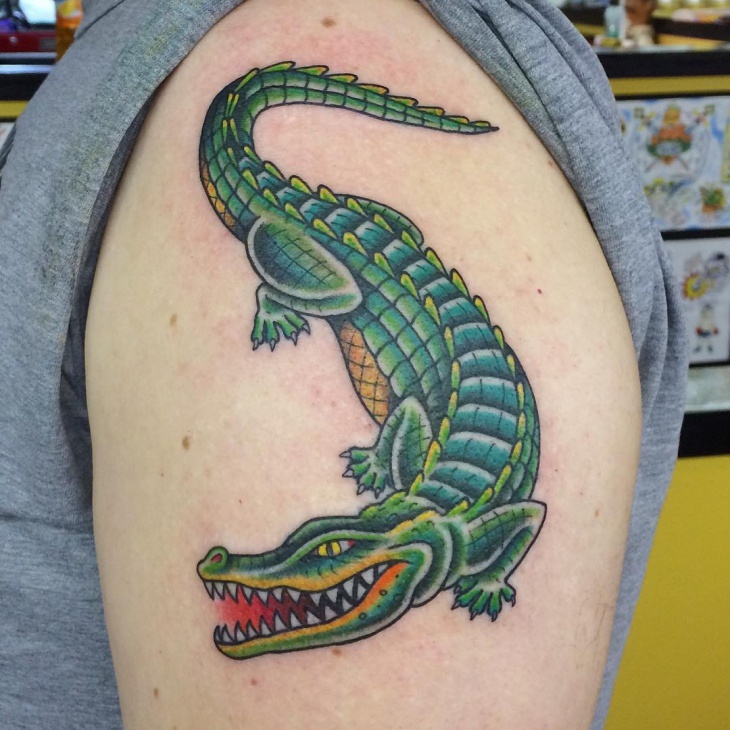 This is a traditional alligator tattoo inked over the arms with the defining color of the alligator in green. It is bright and bold and uses several colors like orange and yellow. 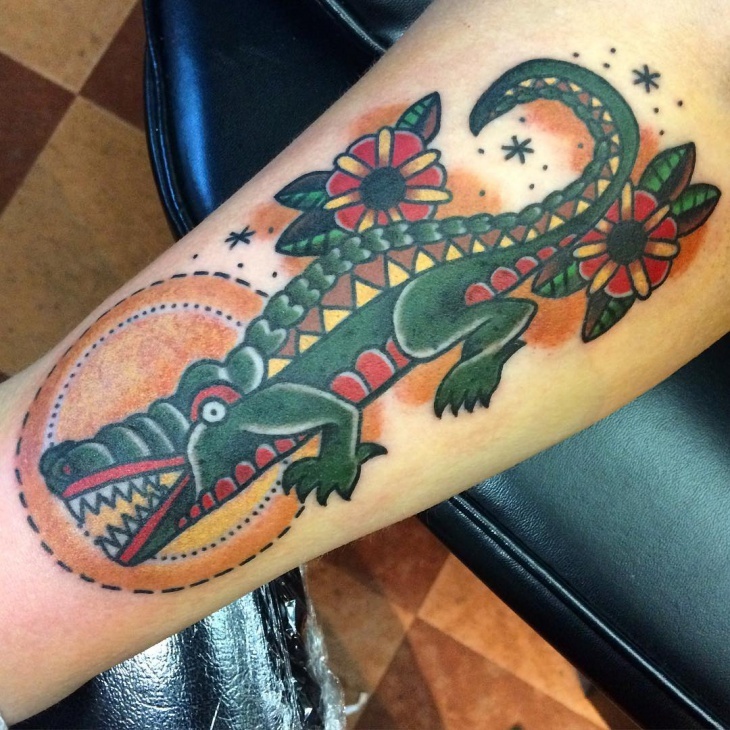 The skin art has been depicted in a traditional alligator tattoo with the use of vibrant colors. 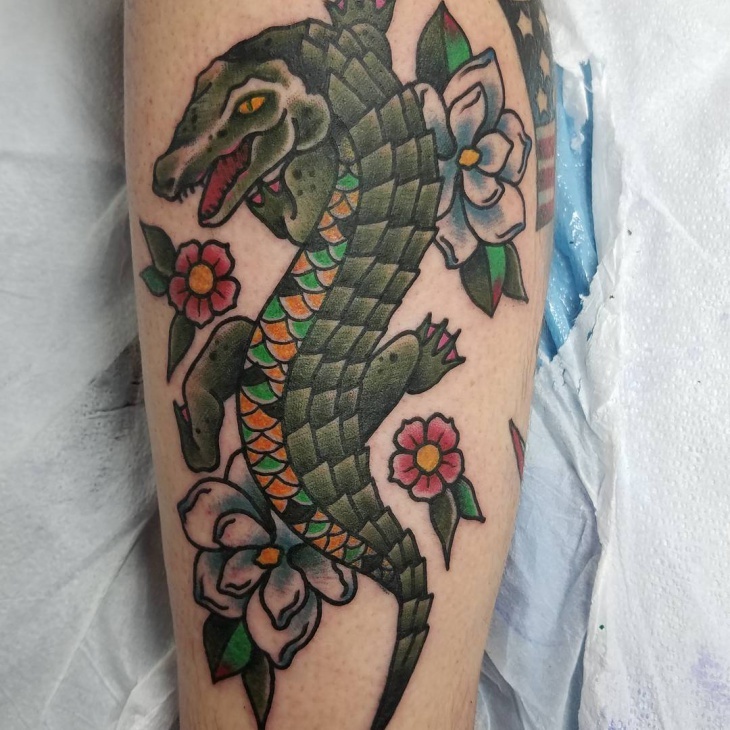 Well, alligator themed tattoos are generally said to be masculine but here’s an alligator tattoo with a girly touch to it. 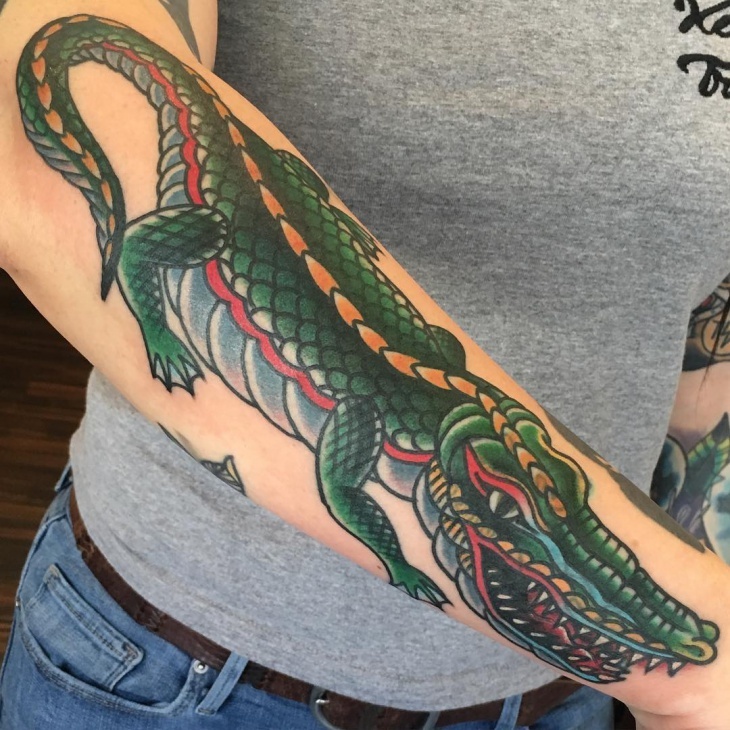 This woman sports a huge alligator on her arm with the tails all painted in green with black prints. It is a life-size classic tattoo which represents strength and danger. 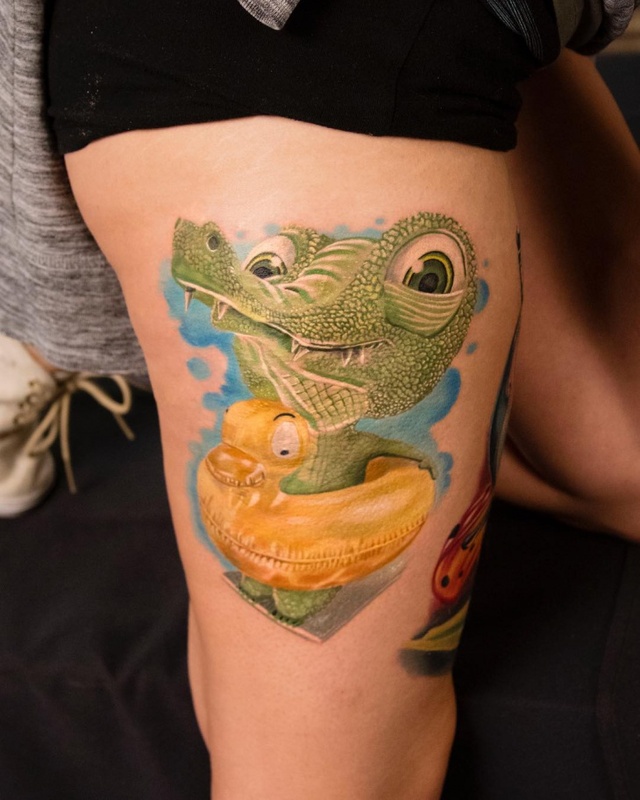 This crocodile tattoo is painted in a 3D finish. Colors like green, yellow and brown have been used to create a 3D effect and it also features flowers on one side of the arm. It is a dangerous tattoo design that represents power and a fearless spirit. 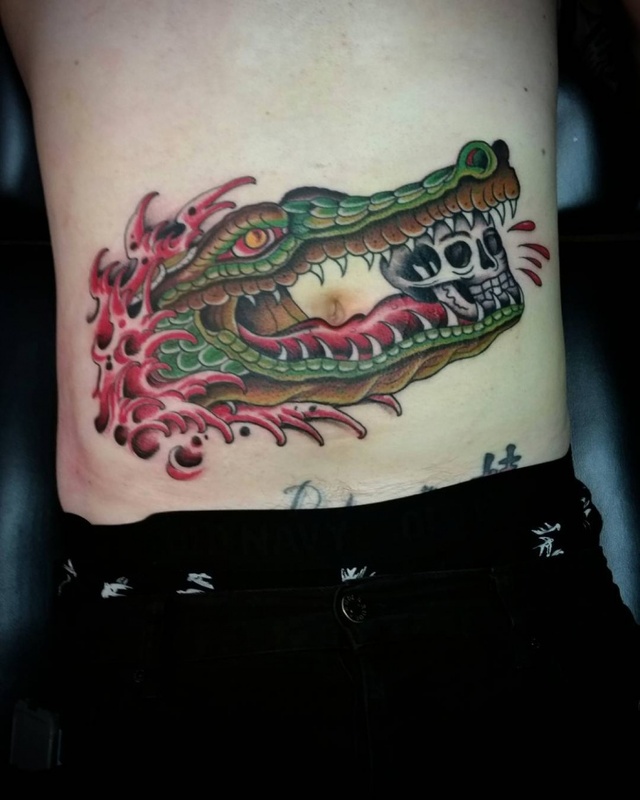 This extreme tattoo has a wide mouth opened alligator with a skull. It is a dangerous picture painted in the hand. The tattoo is not very large but the image of it is powerful. 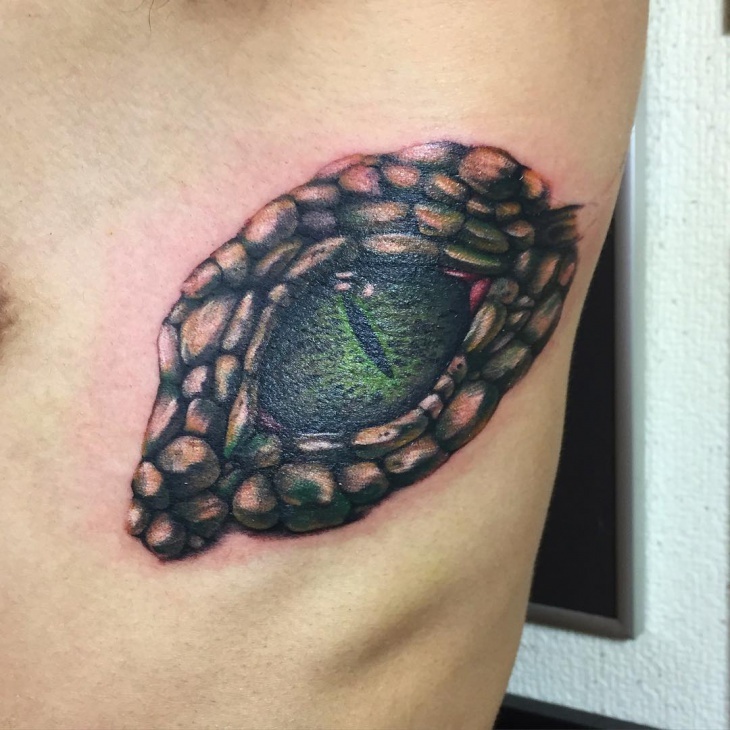 It has been inked on the stomach and is a very powerful tattoo. 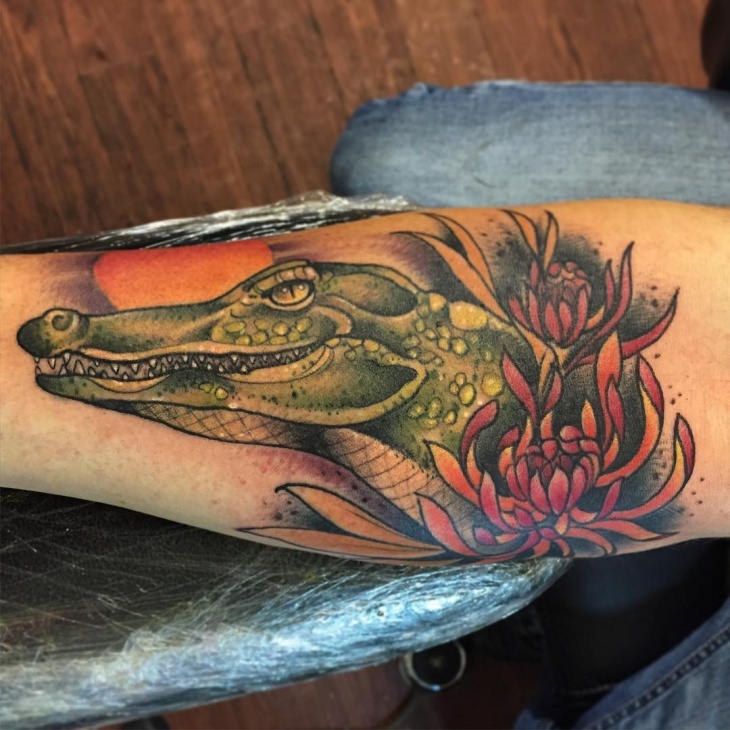 This alligator tattoo on sleeve is wild and dangerous, featuring colors like red, green, orange and black. It is an alligator which is opening its mouth wide with sharp teeth and cunning eyes looking upward. The eyes of an alligator are sharp, wild and mysterious. 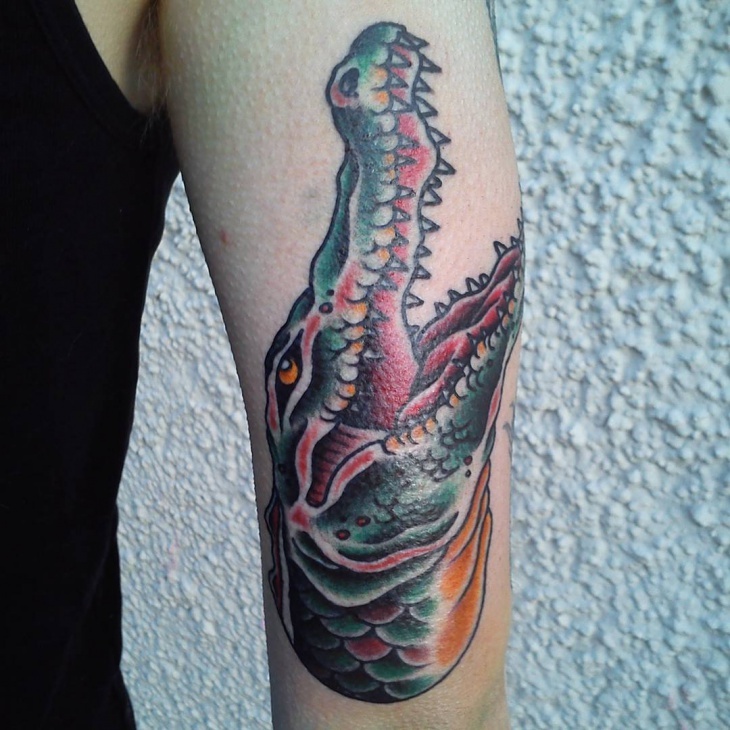 This tattoo inked on the arm is the eye of an alligator which has been painted with the use of dark colors. It is a dangerous picture and sporting this tattoo often means being fearless, brave and adventurous. 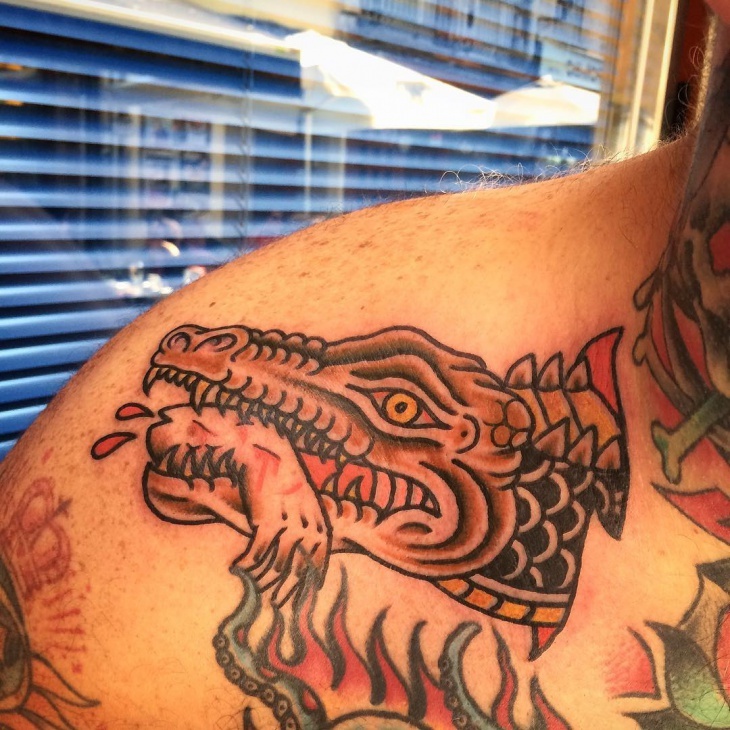 This red and black color themed alligator tattoo is of a traditional style. It features a mid-size alligator opening its mouth and has several design imprints in one alligator. It is a folk art and inking this tattoo on one’s body holds several meanings. 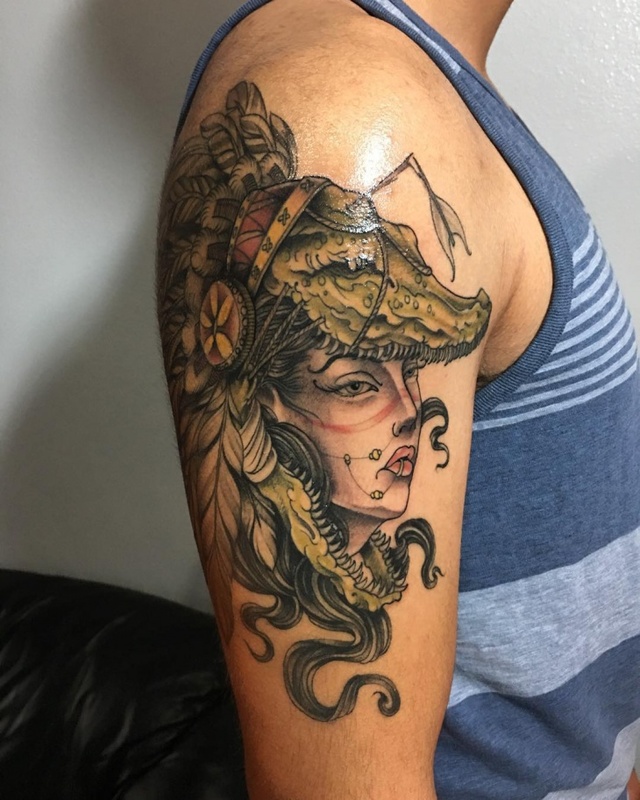 This shoulder tattoo featuring an alligator head which is seen swallowing a human. The hand of the human is seen hanging out from the mouth of the alligator with the blood drops coming off. It is a very deep tattoo and is brash, powerful and wild. 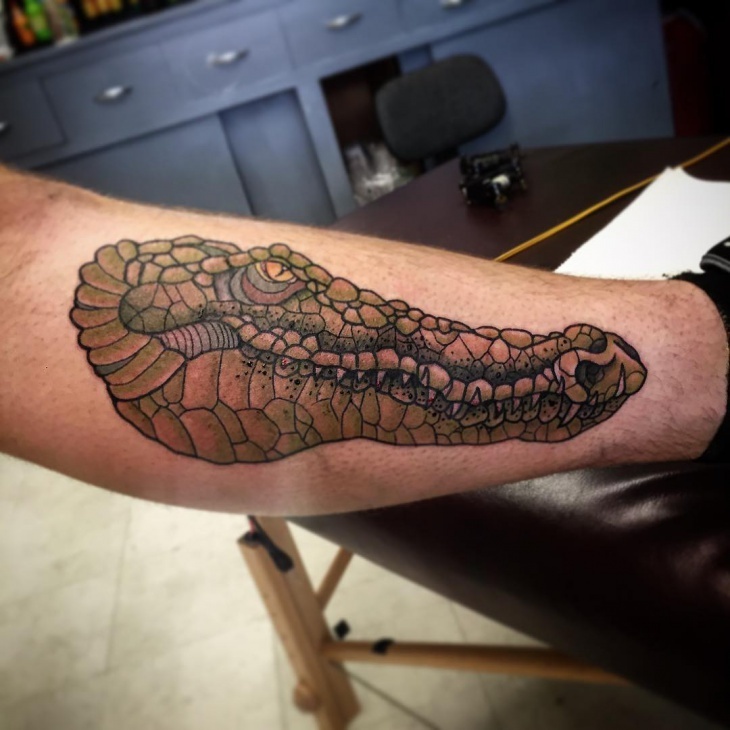 This is an alligator’s head tattooed on the leg of a man. It has made use of unconventional colors such as green, yellow and black. It is a dangerous tattoo which depicts power, fearlessness, and strength. 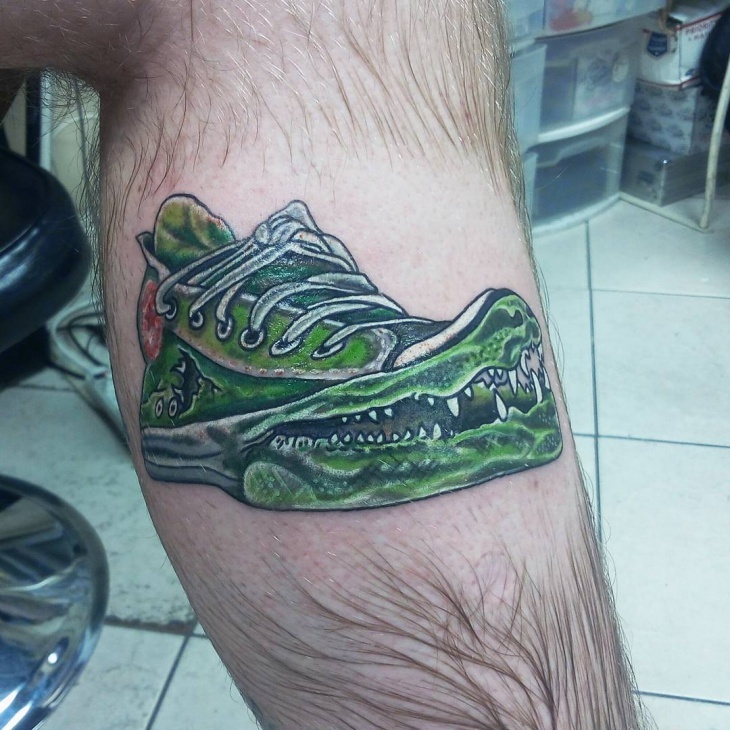 This alligator tattoo on the leg is one of a kind featuring a green sports shoe whose front part is drawn as an alligator’s mouth with its sharp and glistening teeth. 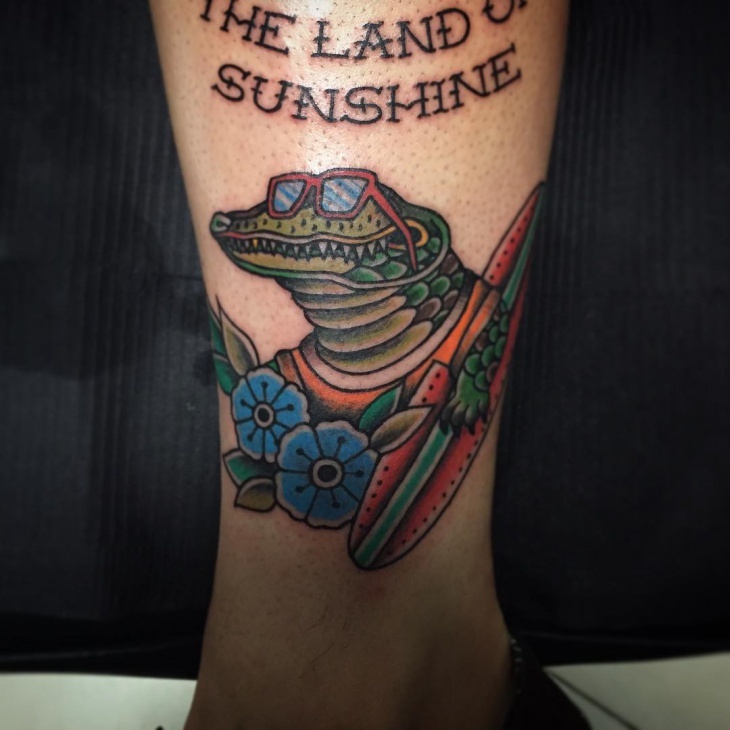 It is a weird tattoo featuring a mix of shoe and alligator on the leg. 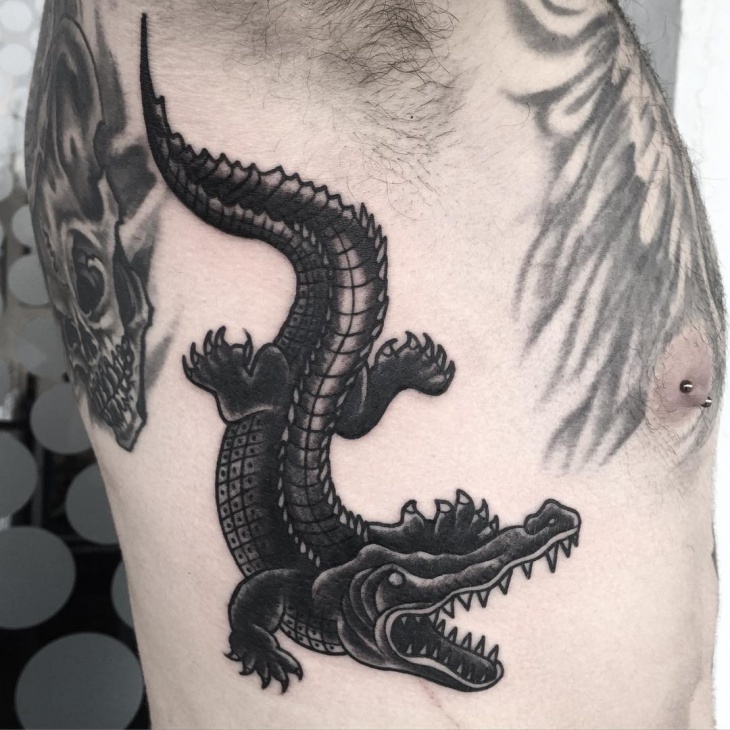 Alligator tattoo designs have been chosen by people on a large scale. It represents strength, power, virility, intuition, balance, focus etc. More and more people are now opting to ink the tattoo in their body.